With towns that appear to be straight out of the middle ages, stunning castles perched precariously atop rocky cliffs and beautiful biodiverse mountains that arc across the country, Romania is a fascinating destination for any group to visit. Our group trips in Romania are open to anyone with an enthusiasm for volunteering together in the developing world; including those from a school, in a community group, at university or working together. Projects Abroad has many projects that groups can join in Romania, including Care/Teaching, Community, Sports, Cultural – including Dance and Drama, Language, Medicine & Healthcare – including Medicine and Physiotherapy, and Animal Care Projects. Despite the tales of heroic Romanian princes battling Ottoman warriors and castle-dwelling vampires leading raids against Saxon merchants in the 15th century, Romania has thrived for the past few centuries as a productive peasant culture. Due to a lack of passable roads around the country’s hilly geography, hundreds of villages developed self-sufficiently honing many crafts into an art, including bread-making, weaving, tanning and pottery. This practice of old-school crafts has led to a culture that, despite the introduction of more modern methods, prides itself on the continuation of a ‘simpler’ way of life. Recent history has seen the transition from a communist regime to a capitalist society following the Romanian revolution in 1989 which saw the trial and execution of the dictator, Nicolae Ceasescu. These events are still widely talked about and remembered with a variety of emotions. Romania today is a peaceful country that is growing economically alongside longstanding peasant subsistence. The unique contrasts that define Romania are now enticing more and more visitors every year, however it is still classed as a country that is ‘off-the-beaten track’. 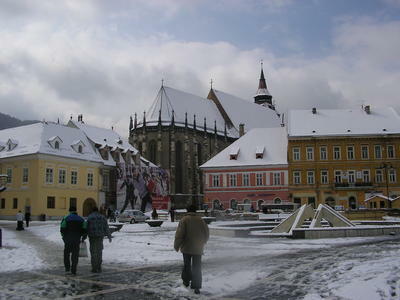 Projects Abroad Romania has its office in the historic city of Brasov, capital of Transylvania. Set in the Carpathian Mountains and with a ski resort nearby, Brasov is an unusual combination of impressive historical squares and palaces, sandwiched between former-Communist tower blocks. Groups will usually stay in a local hotel or hostel so that both project work and free time can be organised and arranged easily amongst yourselves. Though this means that you won’t be staying with a local host family, you’ll still get a full experience of Romanian culture as you will be located right in the centre of the city where every cultural aspect that Brasov has to offer is right on your doorstep! Groups will have the evenings and weekends free to spend as they please. Most volunteers will use the evenings to relax and unwind or to explore the great city of Brasov. On the weekends, groups can integrate trips into their itinerary so that they can really explore the country and everything that is has to offer. 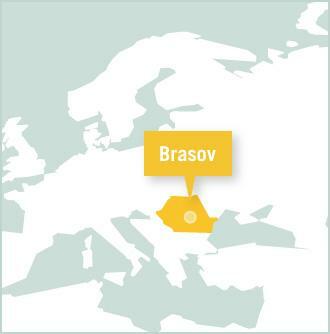 Brasov is only an hour from the town of Dracula's castle, or the medieval home of Vlad the Impaler. Indeed, there are plenty of attractions in Transylvania, but it's also easy for you to visit Bucharest, the Black Sea or the Danube Delta. 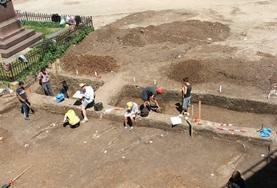 Other volunteers have even explored Hungary, Bulgaria and the Ukraine after finishing their volunteer placements. For those that prefer to spend their weekends doing something a bit more active, the beautiful Carpathian Mountains offer plenty of opportunities for hiking, skiing and mountain biking! Whatever you decide to do, you definitely won’t ever be bored and you will always find something new and exciting to get involved in!